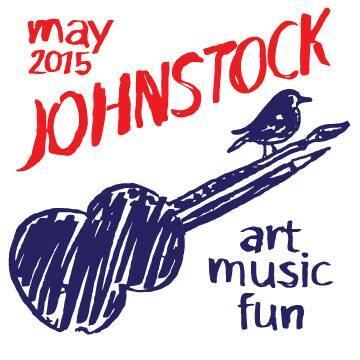 Join us for another great year of art and music at Johnstock 2015. Saturday May 30th From 10-4. We’ll have 40 amazing local artists and will enjoy entertainment from some local acoustic bands. Tricky Troy will put on a show at 11am for the kids. The movie on Friday night 5/92 will be The Lego Movie and will begin at dusk. There will be a raffle again this year, so make sure you stop by and buy some tickets!